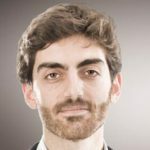 Paolo is currently a DPhil student in Economics at Oxford University and a Research Officer at CSAE. He completed the MPhil at Oxford in 2008 and he holds a BSc (Hons) Economics degree from the University College London. His doctoral research focuses on the occupational choices faced by workers in sub-Saharan Africa and on the monetary and non monetary returns to their decisions. In particular, he has recently investigated the relationship between workers’ risk-aversion and their sector allocation; the determinants of income in informal self-employment; and the role of vulnerability to poverty in determining workers’ well-being. Since 2007 he has conducted a number of innovative field experiments for preference elicitation in the context of a long-standing household survey in urban Ghana. He has also been engaged in a number of CSAE projects, including the evaluation of microfinance initiatives in Africa, in both urban and rural contexts and in a randomized control trial offering capital drops to micro-entrepreneurs. In 2011 he was awarded a Junior Fellowship by the Royal Economics Society and since June 2009 he has collaborated with the World Bank and he has been a visiting scholar at the École Normale Supérieure (Paris School of Economics). His previous work experiences include NERA Economic Consulting and the Institute for Fiscal Studies (London).